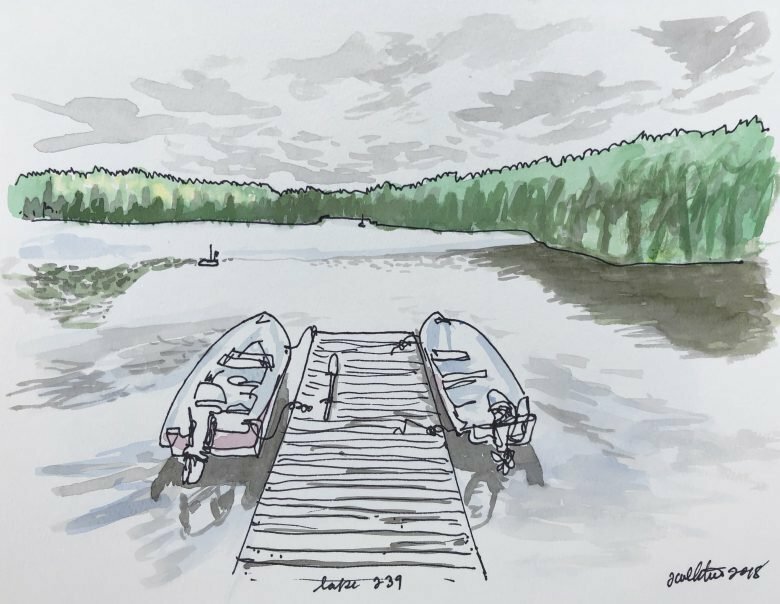 Hisham Osman explains exactly how the relationship between temperature and freshwater quality works, and what IISD Experimental Lakes Area is doing to understand it better. “Temperature is a key driver of water quality for lakes.” What does that mean? There are many different factors that affect the quality of the water in lakes. For example, there is the chemistry of the lake (including which contaminants and nutrients are added by human activity), what exists in the sediment in the bottom of the lake, and what runs off into the lake through the watershed and the neighbouring terrestrial areas. This is partly because of the effects that water temperature itself exerts, but also because many of the factors listed above, such as water chemistry, are themselves controlled in part by the temperature of the water. That’s why we call it a key driver of water quality. How does temperature affect the quality of water? First up, temperature directly determines which organisms, from zooplankton to fish, can live in the lake and in which parts they thrive. This is because each organism has an optimum temperature in which they can live, and therefore where they live, how well they thrive and their overall populations are determined by which temperatures exist in a lake. Speaking of optimum temperatures, these also determine which chemical reactions can take place, where they occur in the lake and when they happen. And these chemical reactions matter because they can result in the release of nutrients, potentially from the sediment, which can then go on to affect the rate of significant events in the lake, such as algal growth from increased phosphorus levels and mercury bioaccumulation in fish. What will the effect of changing climates have on lake water quality in the long term? Although climate change is generally understood to have a wide range of effects on climates across the globe, rising overall temperatures are one of the major impacts we will continue to see. In fact, by the end of the century, it is predicted that the Earth will warm by 2°C, affecting freshwater temperatures. Warmer lakes will result in greater lake stratification and turnover, which will disturb the sediment at the bottom of the lakes, potentially releasing more phosphorus, which can lead to more algal blooms and all the associated negative consequences (e.g., algal toxins, beach closures, low oxygen near the lake bottom) and mercury, which builds up in fish and is then consumed by humans. Moreover, climate change is expected to increase the frequency of extreme storm events, which will lead to more water entering the lakes from the surrounding watershed, bringing with it nutrients, pesticides and invasive species. Remembering that warmer waters hold less dissolved oxygen, we can expect fish productivity to be affected by climate change. With less oxygen in the water, fish are likely to have shorter lifespans, become physically smaller and have lower rates of reproduction. Changes in air temperature are a key component of climate change. Over the past 50 years, which represents the length of our monitoring data, we have found that air temperatures have increased by nearly 0.5°C per decade, much faster than the global average. These changes in winter, spring and autumn temperatures are driving changes in the duration of ice cover—on average we are losing five days of ice cover per decade. A recent publication by one of our former graduate students, Matt Guzzo, demonstrates how long-term changes in air temperature are reducing the growth rates and size of coldwater fish such as lake trout. Changes in summer air temperatures in our region have so far been small; however, projections from nearly all climate models predict large increases in the summer air temperature in coming decades. While lakes are primarily heated via the absorption of energy from sunlight, lakes lose heat in relation to air temperature. Warmer air temperatures mean less heat loss and therefore increased water temperatures. Such changes in water temperature will have a defining influence on water quality and all resident biota. Most animals that live in lakes are exotherms, meaning they aren’t able to regulate their body temperatures in the way that mammals, including humans, do. As water temperatures increase, so do their body temperatures and metabolic rates. Thus, as water temperatures increase, the increased metabolic rates mean the animals must consume significantly more food just to maintain their current body size. A likely outcome is a reduction in growth rates for many animals that inhabit those lakes. What is IISD-ELA doing to predict and plan for the impact of climate change on water? Predicting the effects of changing temperatures on lakes and their food webs is incredibly challenging to undertake in a laboratory setting due to the complexity of natural systems. 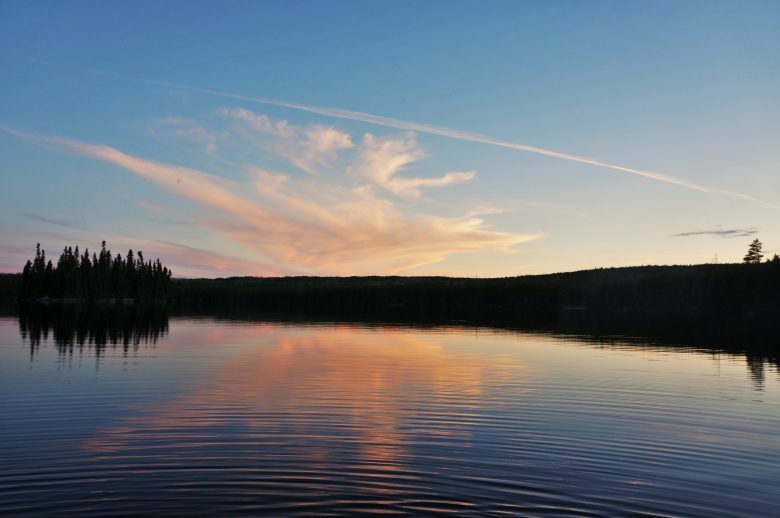 The ability to undertake whole-ecosystem experiments coupled with the 50-year dataset of long-term monitoring data at IISD-ELA is therefore incredibly useful for assessing how variations in air temperature influence a wide suite of physical, chemical and biological properties of lakes. I am using our unique dataset, as well as other data on climate from the area and information we have about Lake 239, to develop a series of models for that lake to determine how the impact of climate change will play out in the lake. Data from Lake 239 taken over the last 50 years will provide critical information about the impact of climate change on boreal lakes. As the aphorism goes, “all models are wrong but some are useful.” These models are meant to provide us with a general guide to how lakes in the boreal region may bear the impact of climate change, to inform decision-making and infrastructure planning. We have also actively diverted a lake to mimic how less water will enter a lake due to the impacts of climate change. This can teach us many things, from how climate change will impact water chemistry to where coldwater fish will live in the lake.